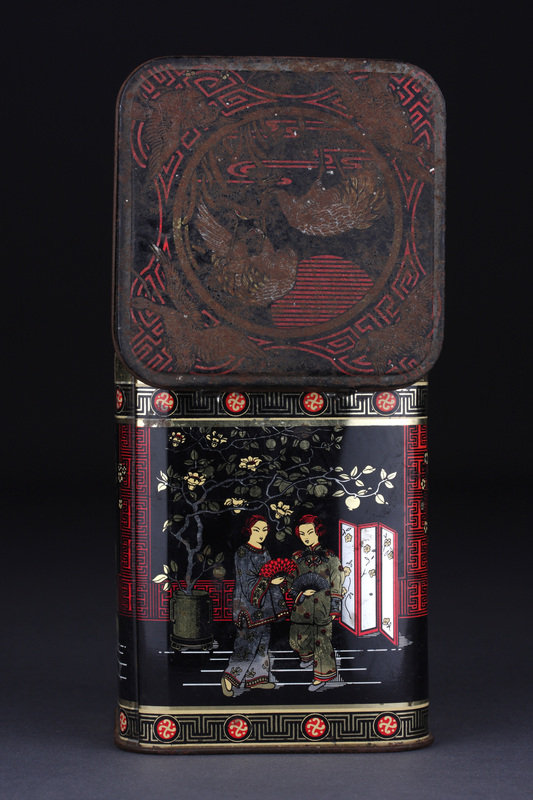 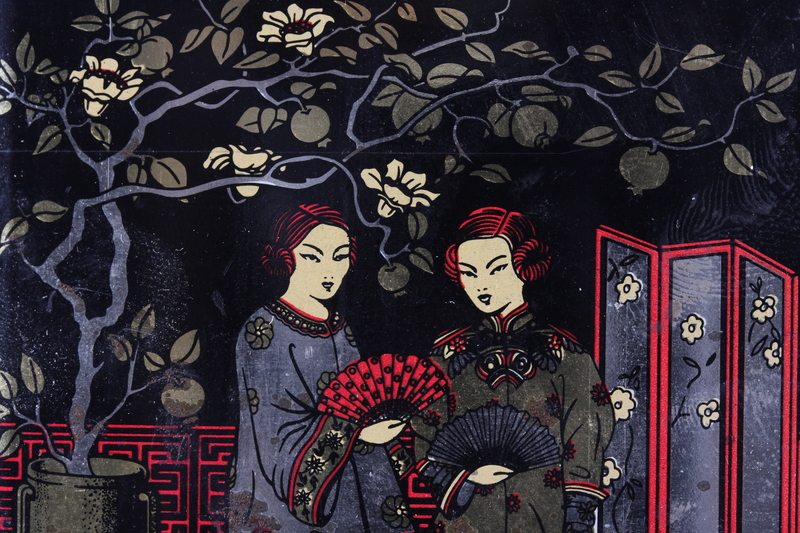 Very common ‘Black Jap’ or ‘blackjap’ metal tea caddy with an oriental design featuring a man sitting under a blossoming tree and being served food by a young boy, two ladies with fans standing near a screen and ducks and geese in flight on the lid. 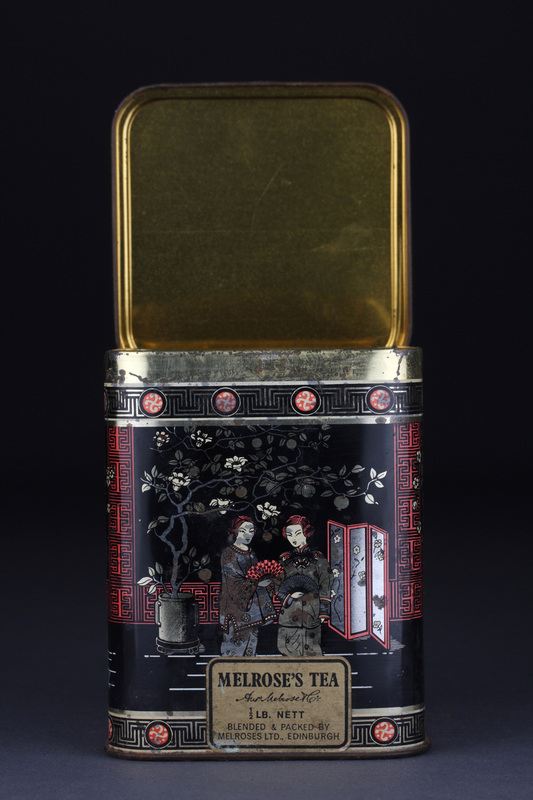 It features the text ‘CONTAINER MADE IN ENGLAND’, and was probably made in the by the Metal Box Company or Daher prior to manufacturing being moved to China. 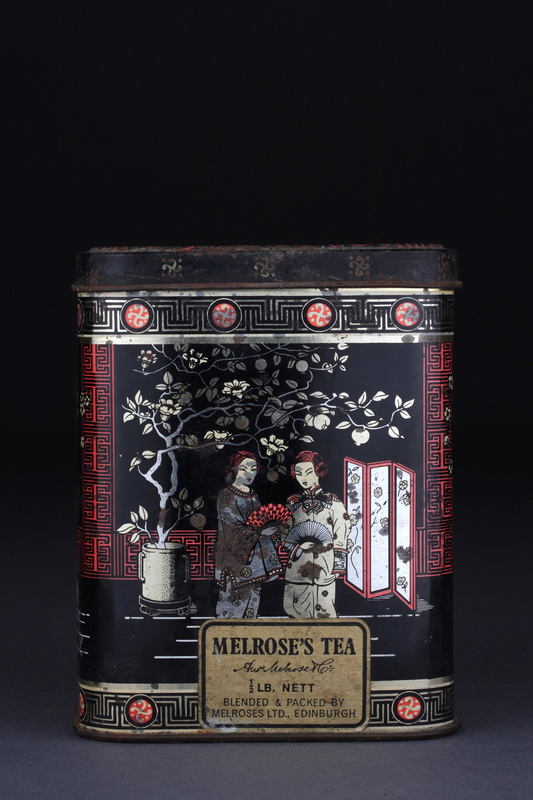 The tin has a sticker for Melroses Tea, Edinburgh. 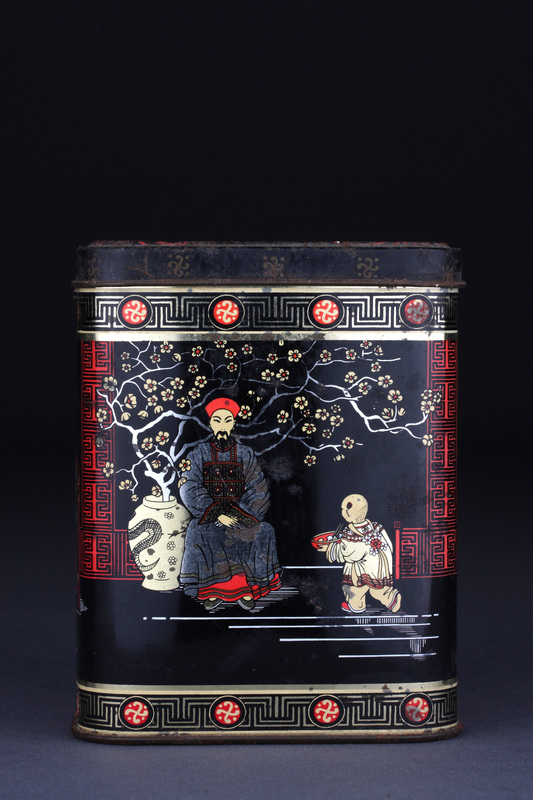 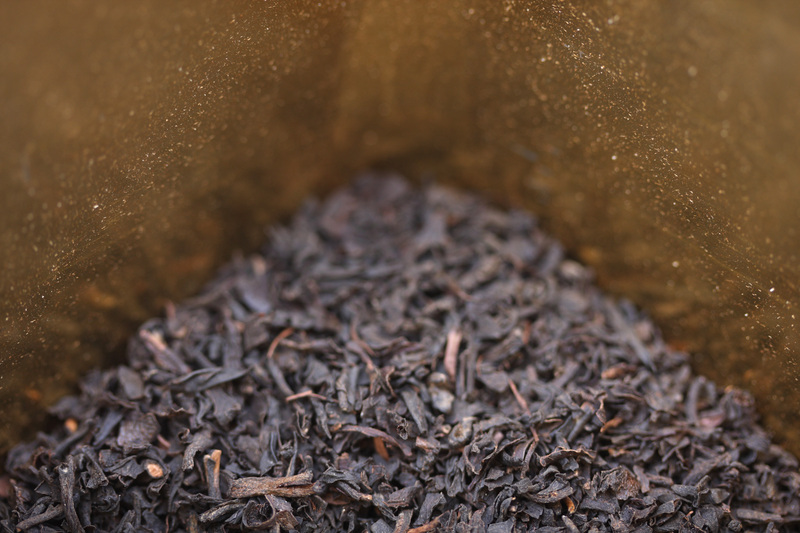 Found in the kitchen, this tin still contained loose tea.